Would it surprise you to learn that there were several preachers in my ancestry? A few years ago, my sister sent me a copy of a book by our great, great grandfather, Oliver Stone Dean (1835 – 1927). 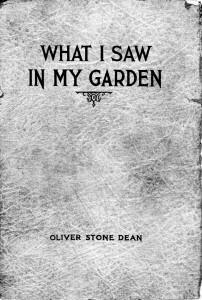 In 1923, he published a short book entitled, “What I Saw In My Garden“. In this book, he used his garden to illustrate various spiritual principles and teach wisdom. 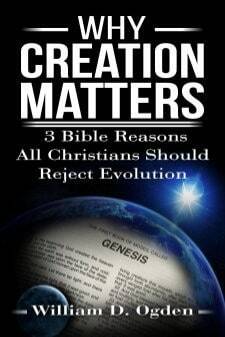 I knew nothing of this book until a few years ago. My sister found two of the books in a little chest full of memorabilia from our parent’s home after they passed away. The book is in the public domain now, but has long been out of print. We thought it would be unfortunate to lose our great-great grandfather’s spiritual observations. So I transcribed his book into an electronic format to give it a second life. My great-great grandfather has been awaiting the resurrection of his physical body for over 90-years. That resurrection will have to continue waiting until the return of Jesus Christ to rule and reign over the earth. But we hope to resurrect his book now by breathing new, electronic life into it. This book is a window into another world. It takes you back to the America of a century ago. The people were different, the culture was different, and the writing style was different. But truth, wisdom and spiritual principles transcend time. 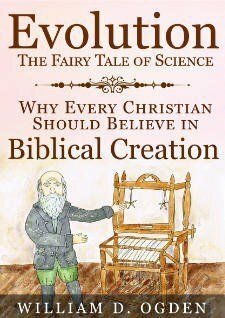 If you would enjoy a glimpse into that world, and the thinking of a 19th Century Christian, then this book is for you. ” sales page on Amazon.com. 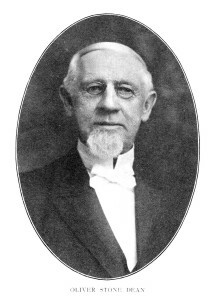 There is more information about my great, great grandfather and his book on a page on this site dedicated to his book. The “What I Saw In My Garden” page also includes a copy of the first chapter, if you would like to sample the book for free. Previous Post Do You Talk Too Much? Next Post Are You a Halfway Christian?